Four truck drivers aged between 28 and 38 years of age were arrested yesterday on the N3 in the Van Reenen area. The drivers used their articulated vehicles to block off both the south bound as well as the north bound carriageways. 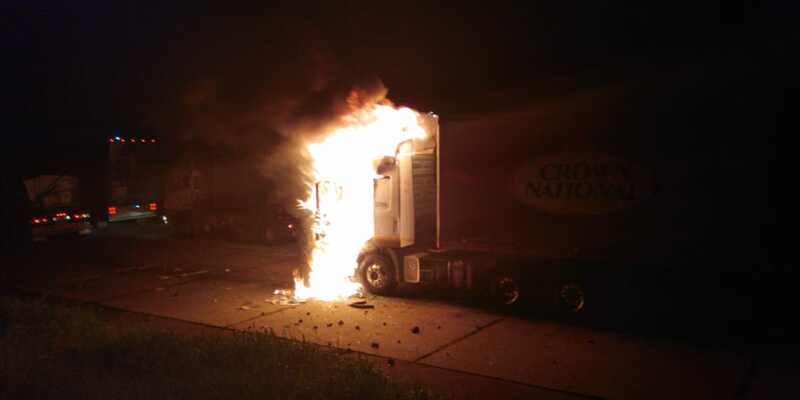 During the blockage, two trucks were set alight. Officers from the Uthukela Cluster station and units as well as the Newcastle Public Order Policing Unit responded swiftly to the road blockage and diffused the protest action, which was allegedly started by the truck drivers. The four trucks have been impounded by the police. The suspects face a charge of public violence and will appear in the Ladysmith Magistrates Court tomorrow.